Foremost Machinery, Northbrook, IL, introduces Hunton vertical grinders, which provide an economical to keep turret-press tooling sharp and optimize surface finish. 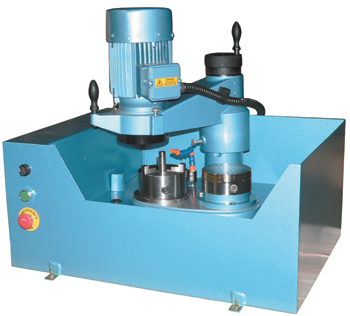 The tabletop grinder, with a hand wheel graduated in 0.001-in. increments, is designed to help fabricators reduce costly tool inventory and toolroom exchanges. It’s reportedly more precise than surface grinders used for tool sharpening, and will produce comparable results to automated tool grinders that cost four to five times as much. The grinder uses a magnetic chuck for die buttons and a three-jaw chuck for punches. Hunton offers six models to choose from, including the BG790 that includes a coolant tank, splash guard and pump for wet grinding. Options include quick-change adapters, used with the shear-grind chuck to allow sharpening of tooling with minimal disassembly. See also: Foremost Machinery Corp.